United Way of San Diego County announced Tuesday the appointment of Nancy Sasaki as president and CEO of the nearly 100-year-old nonprofit charitable organization. Sasaki moves to United Way from the Alliance Healthcare Foundation, where she was the executive director. United Way’s board of directors conducted a nationwide search and chose Sasaki out of a pool of 260 applicants because of her relationships with philanthropists across the country and her planning, leadership and fundraising abilities, according to board chair Richard Pattenaude. Sasaki has previously worked with United Way as the chair of Funders Together to End Homelessness San Diego, as a board member for the Regional Task Force on the Homeless San Diego, and as a member of the United Way Health Vision Council. She currently serves on the board of San Diego Grantmakers and is a founding member of the San Diego Impact Investors Network. 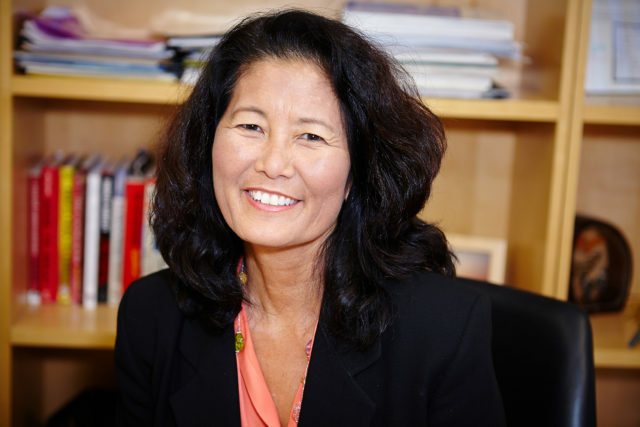 Sasaki, who earned a master’s degree in education for community health from the University of Texas at Austin, is the former president and CEO of Planned Parenthood Los Angeles and has also held several high-level positions for Planned Parenthood in California, Hawaii and Texas.